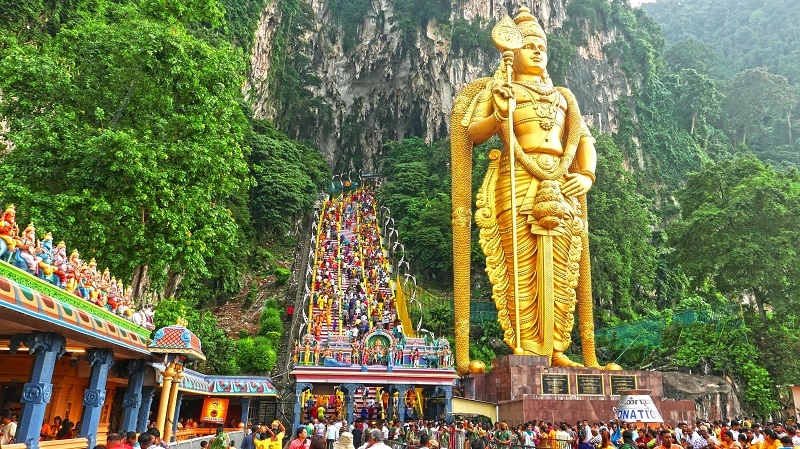 Batu Caves, one of the most preferred tourist destinations in Selangor that can be visited any time of the year. 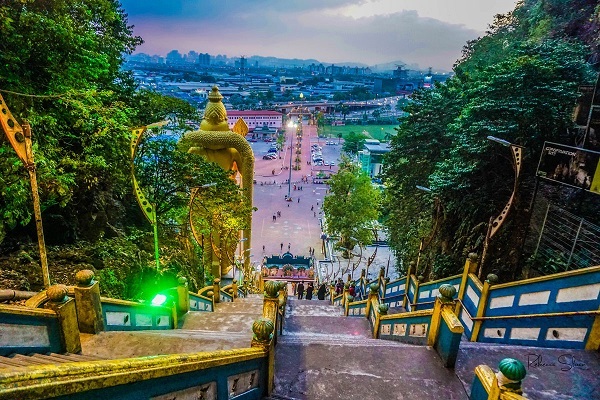 This cave was discovered over a century ago and being most crowded during the Hindu festival of Thaipusam, when more than a million devotees make the pilgrimage up its lengthy stairway each year. About 9 kilometer from Kuala Selangor and 45 minutes drive from the city of Kuala Lumpur, Kampung Kuantan is where you can observe one of the biggest firefly colonies in South East Asia. Early evening is the perfect timing to visit this place for some excellent seafood, and then join a boat tour for a night river discovery to see the marvelous natural glowing display. At about 24 kilometer away from Kuala Lumpur, the Orang Asli Museum displays the interesting ancient customs and traditions of Malaysia’s indigenous peoples. This museum showcases musical instruments, crafts, tools, animal traps, costumes, and even homes. Sultan Salahuddin Abdul Aziz Shah Mosque, also recognized as the “Blue Mosque”, is a huge construction that can cater up to 24 thousands worshipers under its huge blue dome. The National Zoo (Zoo Negara) houses over 400 species and 4,000 animals in a 25ha land. 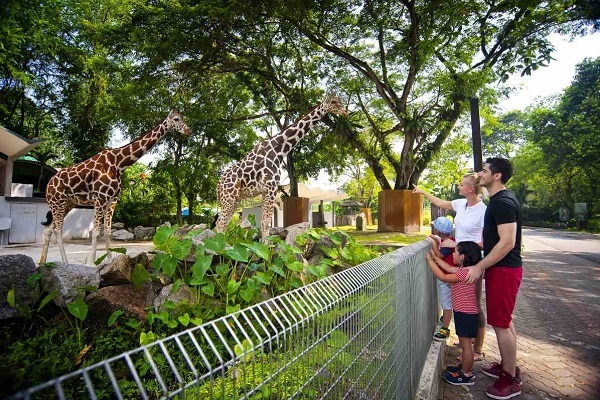 The zoo is located not far away from the Batu Caves and is a great family outing choice for those who wish to learn more about wildlife in this tropical country! Get close with the F1 star racers, then you should watch a F1 race at Sepang. One of the greatest facilities in the world, Sepang International Circuit is hosting a F1 race every March/April. There are other races are held here and it offers area for go-karting and motocross riders. About 16 kilometers from Kuala Lumpur, the Malaysia’s Forest Research Institute is a must visit spot for any eco-tourist. Your visit is complete if you are not visiting the suspended walkway atop the FRIM canopy 30 meter above the ground. Other attractions include Agricultural Park, Kuan Wellness Eco Park, Gallery Shah Alam and more are all worth for a visit! Templer’s Park is located at about 10 kilometer from the city center and can be reached with 20 minutes drive. The park is sitting within 500ha of jungle, near the scenic limestone hill, Bukit Takun. It’s a good place for trekking, and if you love swimming and picnic, the Kanching Waterfalls here offer swimming spots and picnic spots that you can spend a chilling stop here. 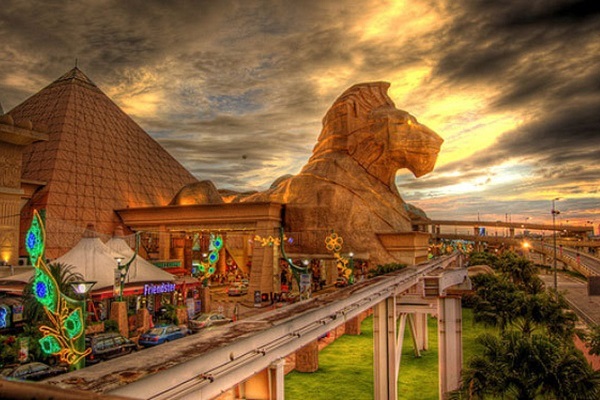 With plenty of shopping malls, including Setia City Mall, The Mines Wonderland, 1 Utama, The Curve, Sunway Pyramid and Tropicana City Mall, Selangor homes to a number of great shopping malls. Visit during the Malaysia Mega Sale Carnival so that you save the most from your pocket! The shopping malls in Selangor are not just for shopping; you can also go ice staking at Sunway Pyramid, wall climbing at 1 Utama, enjoy the latest movie and test your bowling skill. Shah Alam, being the Selangor’s capital city provides tourists a day tripper from Kuala Lumpur a lush green respite. The Shah Alam Lake Gardens is a good place for picnic, but the city has many other green spaces hidden among its museums, mosques and monuments. Kuala Lumpur is wholly bounded by neighboring cities in Selangor, including Petaling Jaya, Subang Jaya, Ampang and etc. With just a little exploration, you will find the interesting part of each attraction. Traveling to and around Selangor is easy as it is conveniently accessible from all major cities and other parts of the country.